Volunteer Energy Cooperative (VEC) consumer members in the Crossville service area experienced an extended power outage Sunday, Jan. 20. Several members reported seeing the night sky light up and hearing a loud noise. The light show and ensuing outage were due to damage sustained by a high voltage switch that failed. This failure caused overhead high voltage lines to fall and come in contact with transformers within the Crossville substation. Linemen and VEC Engineering working to repair damage at the Crossville substation. Initial assessment had more than 17,500 out of power. Built-in redundancies allowed crews to reroute power to over 9,000 within the first couple of hours. VEC management, engineers, dispatch, and linemen worked together to reroute or back feed many consumer members, while simultaneously assessing damage and planning recovery. 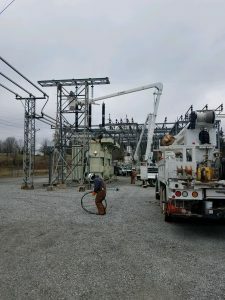 VEC was able to repair and restore most of the equipment back to service in the Crossville substation. 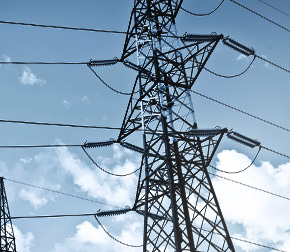 The coordinated effort restored power to a majority of consumers by 2 p.m. EST. All consumer members affected by the substation outage had power by 4 p.m. EST. VEC wishes to thank our consumer members for their patience and encouraging words.